On 14 June 2002, an agreement was signed between the AIACE, represented by its then President, Gerhard van den Berge, and the Commission, represented at the time by Vice-President Neil Kinnock. On 29 February 2008, a new agreement was signed by Vice-President Kallas and our President Ludwig Schubert. 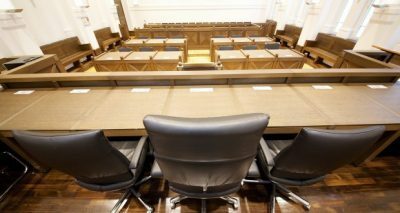 The AIACE, which consists of central organs and sections in certain countries, makes available a number of services as well as information for EVERY FORMER MEMBER OF STAFF WHO REQUESTS THEM. • if you don’t succeed, write to us through the menu Contact. Have a pleasant visit.. and come back to us often! as well as a broad representation of the interests of former staff vis-vis the authorities of the European Union by means of co-operation agreements; where necessary AIACE will defend the interests of former staff and, when appropriate, also vis-à-vis national authorities in relation to administrative and welfare matters. the bond of friendship among former staff and between former and serving staff. It provides a number of services, information and advantages to all former staff who request it. of problems relating to European integration and to help increase public awareness of these problems; it contribute to the work of the institutions or bodies of the European Union in these fields. 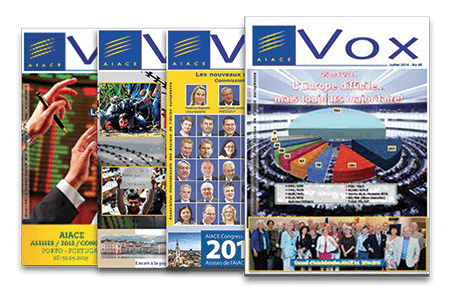 AIACE International publishes its VOX magazine 3 or 4 times a year. 25,000 copies are printed and sent to all former staff, whether member of AIACE or not. It contains information, analytical articles, news articles about general issues, the life of former staff and AIACE’s Sections, society in general, the building of Europe and even administrative notifications. The institutions and in particular DG HR (Human Resources) of the European Commission and PMO (Paymaster’s Office) publish more formal information for the pensioners at regular interval.